May 1, 1707 - Great Britain was formed from a union between England and Scotland. The union included Wales which had already been part of England since the 1500's. The United Kingdom today consists of Great Britain and Northern Ireland. May 1, 1960 - An American U-2 spy plane flying at 60,000 feet was shot down over Sverdlovsk in central Russia on the eve of a summit meeting between President Dwight D. Eisenhower and Soviet Russia's Premier Nikita Khrushchev. 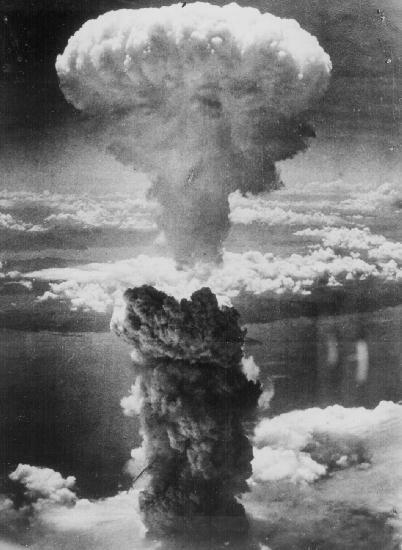 The sensational incident caused a cancellation of the meeting and heightened existing Cold War tensions. The pilot, CIA agent Francis Gary Powers, survived the crash, and was tried, convicted and sentenced to 10 years in prison by a Russian court. Two years later he was released to America in exchange for an imprisoned Soviet spy. On his return to America, Powers encountered a hostile public which apparently believed he should not have allowed himself to be captured alive. He died in a helicopter crash in 1977. May 1, 2004 - Eight former Communist nations and two Mediterranean countries joined the European Union (EU) marking its largest-ever expansion. The new members included Poland, Hungary, the Czech Republic, Slovakia, Slovenia, Lithuania, Latvia, Estonia, along with the island of Malta and the Greek portion of the island of Cyprus. They joined 15 countries already in the EU, representing in all 450 million persons. Birthday - Irish-born American labor leader Mary 'Mother' Jones (1830-1930) was born in County Cork, Ireland. She endured misfortune early in life as her husband and four children died in the yellow fever epidemic of 1867. She also lost all of her belongings in the Chicago Fire of 1871. She then devoted herself to organizing and advancing the cause of Labor, using the slogan, "Join the Union, boys." She also sought to prohibit child labor. She remained active until the very end, giving her last speech on her 100th birthday. 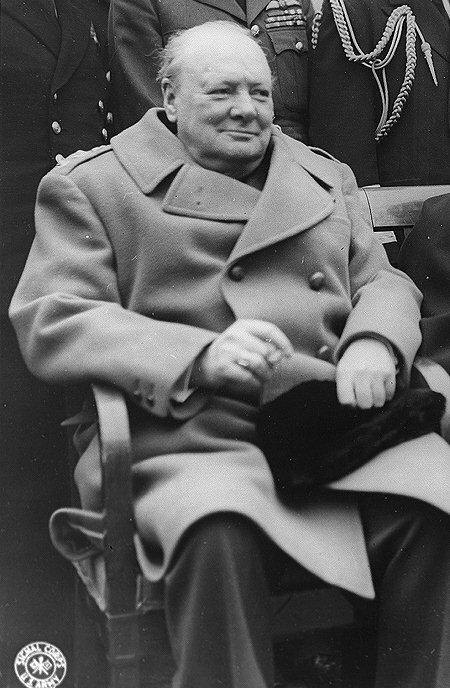 Birthday - World War II General Mark Clark (1896-1984) was born in Madison Barracks, New York. He commanded the U.S. Fifth Army which invaded Italy in September of 1943, fighting a long and brutal campaign against stubborn German opposition. Birthday - African American Olympic athlete Archie Williams (1915-1993) was born in Oakland, California. Williams, along with Jesse Owens, defeated German athletes at the 1936 Berlin Olympics and helped debunk Adolf Hitler's theory of Aryan racial superiority. Williams won a gold medal in the 400-meter race. After the Olympics, he went on to earn a mechanical engineering degree from the University of California-Berkeley but faced discrimination and wound up digging ditches. He later became an airplane pilot and trained Tuskegee Institute pilots including the black air corp of World War II. May 2, 2011 - U.S. Special Operations Forces killed Osama bin Laden during a raid on his secret compound in Abbottabad, Pakistan. The raid marked the culmination of a decade-long manhunt for the elusive leader of the al-Qaeda terrorist organization based in the Middle East. Bin Laden had ordered the coordinated aerial attacks of September 11th, 2001, in which four American passenger jets were hijacked then crashed, killing nearly 3,000 persons. Two jets had struck and subsequently collapsed the 110-story Twin Towers of the World Trade Center in New York, while another struck the Pentagon building in Washington, D.C. A fourth jet also headed toward Washington had crashed into a field in Pennsylvania as passengers attempted to overpower the hijackers on board. Birthday - Pope Leo XIII (1810-1903) was born in Carpino, Italy (as Gioacchino Pecci). He was elected Pope in 1878 at age 67 and lived to govern the church another 25 years, laying the foundation for modernization of Church attitudes toward a rapidly industrializing and changing world. Birthday - Golda Meir (1898-1978) was born in Kiev, Russia. She was one of the founders of the modern state of Israel and served as prime minister from 1969 to 1974. May 4, 1886 - The Haymarket Square Riot occurred in Chicago after 180 police officers advanced on 1,300 persons gathered in the square listening to speeches of labor activists and anarchists. A bomb was thrown. Seven policemen were killed and over 50 wounded. Four anarchists were then charged with conspiracy to kill, convicted and hanged while another committed suicide in jail. Three others were given lengthy jail terms. May 4, 1970 - At Kent State University, four students - Allison Krause, 19; Sandra Lee Scheuer, 20; Jeffrey Glenn Miller, 20; and William K. Schroeder, 19 - were killed by National Guardsmen who opened fire on a crowd of 1,000 students protesting President Richard Nixon's decision to invade Cambodia. Eleven others were wounded. The shootings set off tumultuous campus demonstrations across America resulting in the temporary closing of over 450 colleges and universities. May 5, 1865 - Decoration Day was first observed in the U.S., with the tradition of decorating soldiers' graves from the Civil War with flowers. The observance date was later moved to May 30th and included American graves from World War I and World War II, and became better known as Memorial Day. In 1971, Congress moved Memorial Day to the last Monday in May, thus creating a three-day holiday weekend. May 5, 1893 - The Wall Street Crash of 1893 began as stock prices fell dramatically. By the end of the year, 600 banks closed and several big railroads were in receivership. Another 15,000 businesses went bankrupt amid 20 percent unemployment. It was the worst economic crisis in U.S. history up to that time. May 5, 1961 - Alan Shepard became the first American in space. He piloted the spacecraft Freedom 7 during a 15-minute 28-second suborbital flight that reached an altitude of 116 miles (186 kilometers) above the earth. Shepard’s success occurred 23 days after the Russians had launched the first-ever human in space, cosmonaut Yuri Gagarin, during an era of intense technological competition between the Russians and Americans called the Space Race. 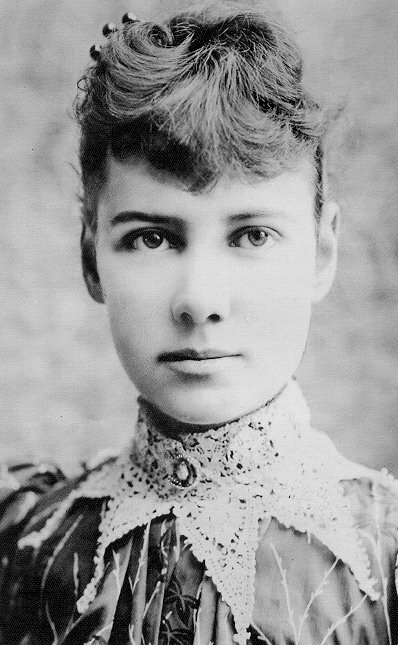 Birthday - Pioneering American journalist Nellie Bly (1867-1922) was born in Cochran's Mills, Pennsylvania (as Elizabeth Cochrane). She was a social reformer and human rights advocate who once posed as an inmate in an insane asylum to expose inhumane conditions. She is best known for her 1889-90 tour around the world in 72 days, beating by eight days the time of Phileas Fogg, fictional hero of Jules Verne's novel Around the World in Eighty Days. May 6, 1527 - The Renaissance ended with the Sack of Rome by German troops as part of an ongoing conflict between the Hapsburg Empire and the French Monarchy. German troops killed over 4,000 Romans, imprisoned the Pope, and looted works of art and libraries. An entire year passed before order could be restored in Rome. Birthday - Explorer Robert E. Peary (1856-1920) was born in Cresson, Pennsylvania. He organized and led eight Arctic expeditions and reached the North Pole on April 6, 1909. In another expedition, he proved Greenland is an island. He also proved the polar ice cap extends beyond 82° north latitude, and discovered the Melville meteorite. 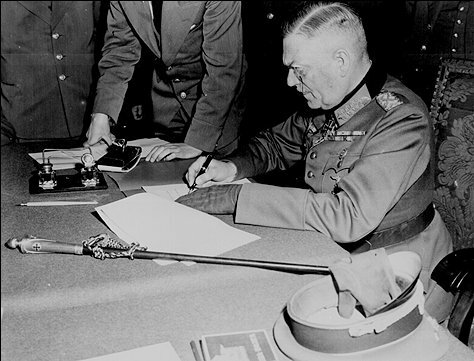 May 7, 1945 - In a small red brick schoolhouse in Reims, Germany, General Alfred Jodl signed the unconditional surrender of all German fighting forces thus ending World War II in Europe. Russian, American, British and French ranking officers observed the signing of the document which became effective at one minute past midnight on May 9th. Jodl was then ushered in to see Supreme Allied Commander, General Dwight D. Eisenhower, who curtly asked Jodl if he fully understood the document. Eisenhower then informed Jodl that he would be held personally responsible for any deviation from the terms of the surrender. Jodl was then ushered away. May 7, 1954 - The French Indochina War ended with the fall of Dien Bien Phu, in a stunning victory by the Vietnamese over French colonial forces in northern Vietnam. The country was then in divided in half at the 17th parallel, with South Vietnam created in 1955. May 7, 1992 - The 27th Amendment to the U.S. Constitution was ratified, prohibiting Congress from giving itself pay raises. Birthday - American poet Archibald MacLeish (1892-1982) was born in Glencoe, Illinois. He was awarded three Pulitzer Prizes, and was also a playwright, editor, lawyer, professor, farmer, and served as Librarian of Congress from 1939 to 1944. May 8, 1942 - During World War II in the Pacific, the Battle of the Coral Sea began in which Japan would suffer its first defeat of the war. The battle, fought off New Guinea, marked the first time in history that two opposing naval forces fought by only using aircraft without the opposing ships ever sighting each other. May 8, 1945 - A second German surrender ceremony was held in Berlin. 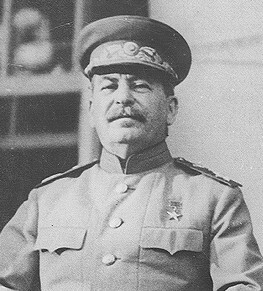 Soviet Russia's leader Josef Stalin had refused to recognize the German surrender document signed a day earlier at Reims. This time, German Field Marshal Wilhelm Keitel signed the surrender document which declared, as did the first, that hostilities would end as of 12:01 a.m. on May 9th. May 9th - Victory Day in Russia, a national holiday commemorating the defeat of Nazi Germany during the "Great Patriotic War" (World War II) honoring the 20 million Russians who died in the war. 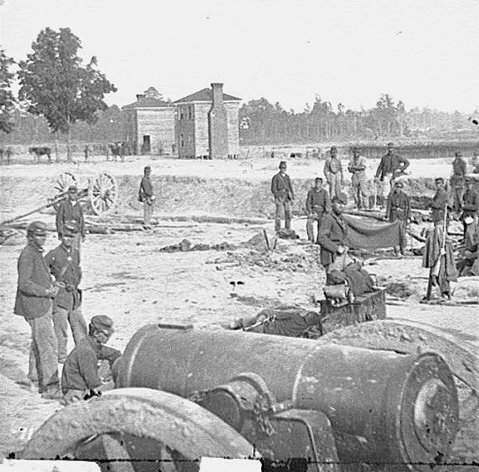 May 9, 1862 - During the American Civil War, General David Hunter, Union commander of the Department of the South, issued orders freeing the slaves in South Carolina, Florida and Georgia. He did so without congressional or presidential approval. The orders were countermanded by President Abraham Lincoln ten days later. 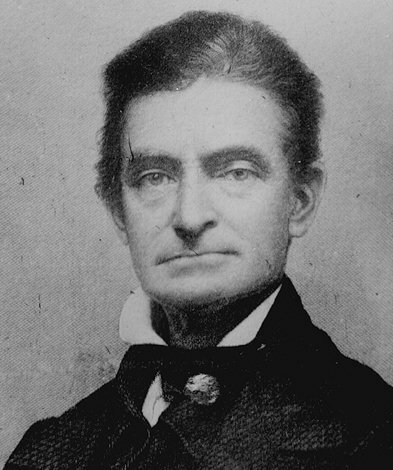 Birthday - Abolitionist leader John Brown (1800-1859) was born in Torrington, Connecticut. He led an attack on the federal arsenal at Harpers Ferry in October of 1859, to secure weapons for his "army of emancipation" to liberate slaves. 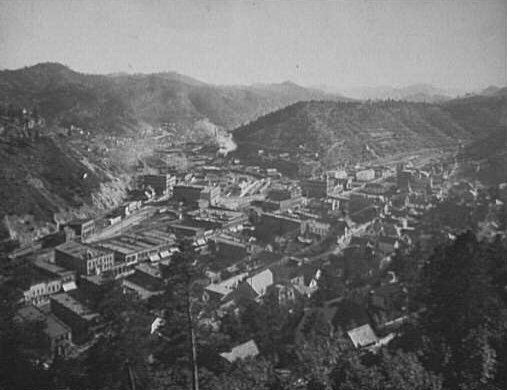 Inside the arsenal, Brown and his followers held 60 hostages and managed to hold out against the local militia but finally surrendered to U.S. Marines under the command of Colonel Robert E. Lee. Ten of Brown's men, including two of his sons, were killed. Brown was taken prisoner. He was convicted by the Commonwealth of Virginia of treason, murder, and inciting slaves to rebellion, and hanged on December 2, 1859. May 10, 1869 - The newly constructed tracks of the Union Pacific and Central Pacific railways were first linked at Promontory Point, Utah. 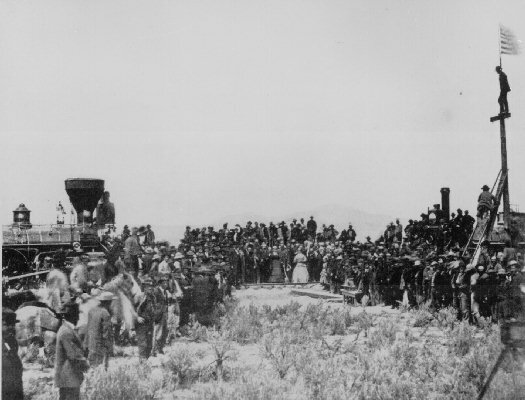 A golden spike was driven by Leland Stanford, president of the Central Pacific, to celebrate the linkage. It is said that he missed the spike on his first swing which brought roars of laughter from men who had driven thousands upon thousands of spikes themselves. May 10, 1889 - A riot erupted outside the Astor Place Opera House in New York as British actor William Charles Macready performed inside. Angry crowds revolted against dress requirements for admission and against Macready's public statements on the vulgarity of American life. The mob then shattered theater windows. Troops were called out and ordered to fire, killing 22 and wounding 26. May 10, 1994 - Former political prisoner Nelson Mandela was inaugurated as president of South Africa. Mandela had won the first free election in South Africa despite attempts by various political foes to deter the outcome. 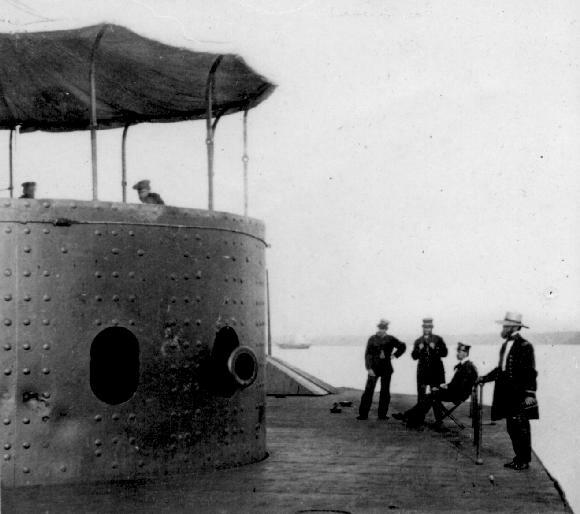 May 11, 1862 - To prevent its capture by Union forces advancing in Virginia, the Confederate Ironclad Merrimac was destroyed by the Confederate Navy. 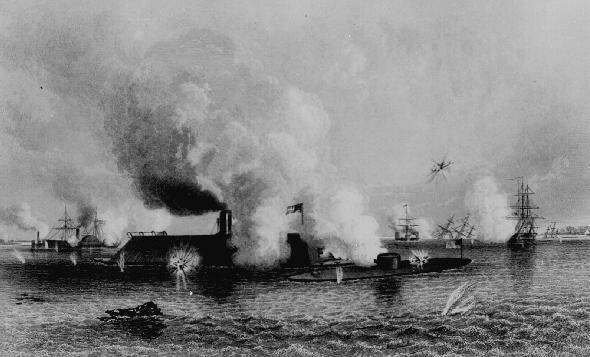 In March, the Merrimac had fought the Union Ironclad Monitor to a draw. Naval warfare was thus changed forever, making wooden ships obsolete. May 11, 1969 - During the Vietnam War, the Battle of "Hamburger Hill" began. While attempting to seize the Dong Ap Bia Mountain, U.S. troops repeatedly scaled the hill over a 10-day period and engaged in bloody hand-to-hand combat with the North Vietnamese. After finally securing the objective, American military staff decided to abandon the position, which the North Vietnamese retook shortly thereafter. The battle highlighted the futility of the overall American military strategy. 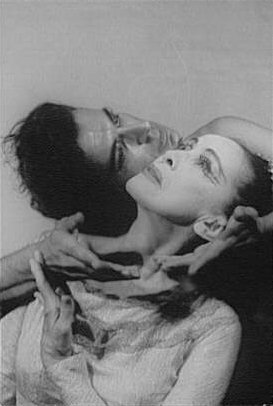 Birthday - Modern dance pioneer Martha Graham (1893-1991) was born in Pittsburgh, Pennsylvania. She began her dance career at age 22 in the Greenwich Village Follies. She later incorporated primal emotions and ancient rituals in her works, bringing a new psychological depth to modern dance. In a career spanning 70 years, she created 180 dance works. She performed until the age of 75. May 12, 1949 - Soviet Russia lifted its blockade of Berlin. The blockade began on June 24, 1948 and resulted in the Berlin airlift. For 462 days - from June 26, 1948, until September 30, 1949, American and British planes flew about 278,000 flights, delivering 2.3 million tons of food, coal and medical supplies to two million isolated West Berliners. A plane landed in Berlin every minute from 11 Allied staging areas in West Germany. The planes were nicknamed ''candy bombers'' after pilots began tossing sweets to children. They also flew out millions of dollars worth of products manufactured in West Berlin. 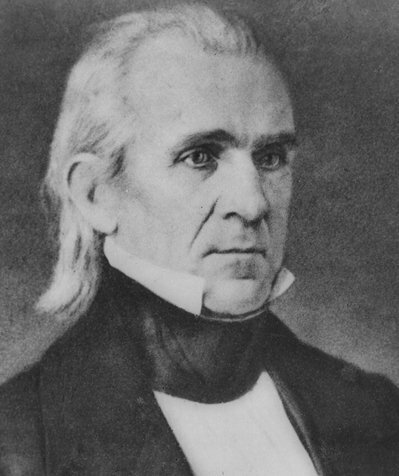 May 13, 1846 - At the request of President James K. Polk, Congress declared war on Mexico. The controversial struggle eventually cost the lives of 11,300 U.S. soldiers and resulted in the annexation of lands that became parts of Oklahoma, New Mexico, Arizona, Nevada, California, Utah and Colorado. The war ended in 1848 with the Treaty of Guadalupe Hidalgo. May 13, 1943 - During World War II in North Africa, over 250,000 Germans and Italians surrendered in the last few days of the Tunis campaign. British General Harold Alexander then telegraphed news of the victory to Winston Churchill, who was in Washington attending a war conference. The victory re-opened Allied shipping lanes in the Mediterranean. May 13, 1981 - Pope John Paul II was shot twice at close range while riding in an open automobile in St. Peter's Square in Rome. Two other persons were also wounded. An escaped terrorist, already under sentence of death for the murder of a Turkish journalist, was immediately arrested and was later convicted of attempted murder. The Pope recovered and later held a private meeting with the would-be assassin and then publicly forgave him. May 14, 1804 - Meriwether Lewis and William Clark departed St. Louis on their expedition to explore the Northwest. They arrived at the Pacific coast of Oregon in November of 1805 and returned to St. Louis in September of 1806, completing a journey of about 6,000 miles. May 14, 1796 - Smallpox vaccine was developed by Dr. Edward Jenner, a physician in rural England. He coined the term vaccination for the new procedure of injecting a milder form of the disease into healthy persons resulting in immunity. Within 18 months, 12,000 persons in England had been vaccinated and the number of smallpox deaths dropped by two-thirds. May 14, 1942 - During World War II, an Act of Congress allowed women to enlist for noncombat duties in the Women's Auxiliary Army Corps (WAAC), the Women Appointed for Voluntary Emergency Service (WAVES), Women's Auxiliary Ferrying Squadron (WAFS), and Semper Paratus Always Ready Service (SPARS), the Women's Reserve of the Marine Corp.
May 15, 1972 - George Wallace was shot while campaigning for the presidency in Laurel, Maryland. As a result, Wallace was permanently paralyzed from the waist down. 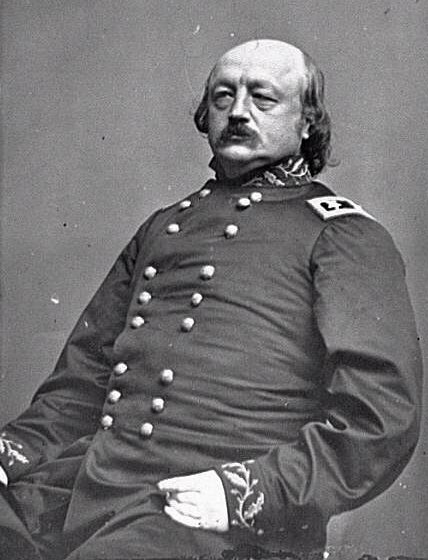 May 16, 1862 - During the American Civil War, Union General Benjamin Butler, military governor of New Orleans, issued his "Woman Order" declaring that any Southern woman showing disrespect for Union soldiers or the U.S. would be regarded as a woman of the town, or prostitute. 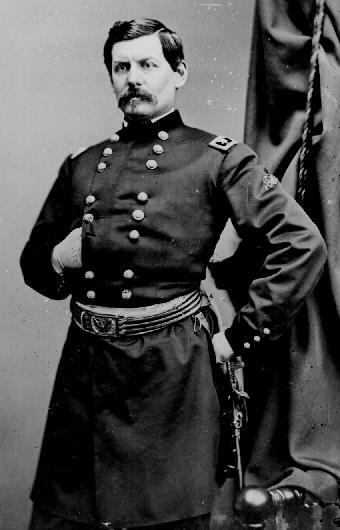 This and other controversial acts by Butler set the stage for his dismissal as military governor in December 1862. May 17, 1792 - Two dozen merchants and brokers established the New York Stock Exchange. In good weather they operated under a buttonwood tree on Wall Street. In bad weather they moved inside to a coffeehouse to conduct business. May 17, 1954 - In Brown v. Board of Education, the U.S. Supreme Court unanimously ruled that segregation of public schools "solely on the basis of race" denies black children "equal educational opportunity" even though "physical facilities and other 'tangible' factors may have been equal. Separate educational facilities are inherently unequal." Thurgood Marshall had argued the case before the Court. He went to become the first African American appointed to the Supreme Court. May 18, 1980 - Mount St. Helens volcano erupted in southwestern Washington State spewing steam and ash over 11 miles into the sky. This was the first major eruption since 1857. May 18, 1998 - In one of the biggest antitrust lawsuits of the 20th century, American software giant Microsoft Corporation was sued by the U.S. Federal government and 20 state governments charging the company with using unfair tactics to crush competition and restrict choices for consumers. The lawsuits alleged Microsoft used illegal practices to deny personal computer owners the benefits of a free and competitive market and also alleged Microsoft extended its monopoly on operating systems to "develop a chokehold" on the Internet browser software market. Birthday - Hollywood director Frank Capra (1897-1991) was born in Palermo, Sicily. 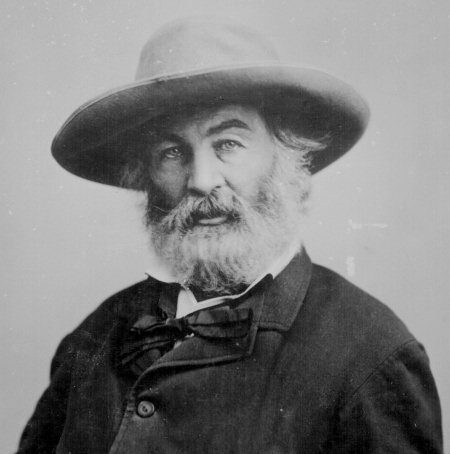 His quintessential American films were affectionate portrayals of the common man and examined the strengths and foibles of American democracy. Best known for It's a Wonderful Life (1946), Mr. Smith Goes to Washington (1939), It Happened One Night (1934) and You Can't Take It with You (1938). Birthday - Pope John Paul II (1920-2005) was born (as Karol Wojtyla) in Wadowice, Poland. In 1978, he became 264th Pope of the Roman Catholic Church, the first non-Italian elected in 456 years and the first Polish Pope. May 19, 1943 - During World War II in Europe, Royal Air Force bombers successfully attacked dams in the German Ruhr Valley using innovative ball-shaped bouncing bombs that skipped along the water and exploded against the dams. The dams had provided drinking water for 4 million persons and supplied 75% of the electrical power for industry in the area. Birthday - African American playwright Lorraine Hansberry (1930-1965) was born in Chicago, Illinois. She is best known for A Raisin in the Sun (1959) a play dealing with prejudice and black pride. The play was the first stage production written by a black woman to appear on Broadway. She died of cancer at the age of 34. A book of her writings entitled To Be Young, Gifted, and Black was published posthumously. May 20, 325 A.D. - The Council of Nicaea, the first ecumenical council of Catholic Church was called by Constantine I, first Christian Emperor of the Roman Empire. With nearly 300 bishops in attendance at Nicaea in Asia Minor, the council condemned Arianism which denied Christ's divinity, formulated the Nicene Creed and fixed the date of Easter. May 20, 1862 - President Abraham Lincoln signed the Homestead Act opening millions of acres of government owned land in the West to "homesteaders" who could acquire up to 160 acres by living on the land and cultivating it for five years, paying just $1.25 per acre. May 20, 1927 - Charles Lindbergh, a 25-year-old aviator, took off at 7:52 a.m. from Roosevelt Field, Long Island, in the Spirit of St. Louis attempting to win a $25,000 prize for the first solo nonstop flight between New York City and Paris. Thirty-three hours later, after a 3,600 mile journey, he landed at Le Bourget, Paris, earning the nickname "Lucky Lindy" and becoming an instant worldwide hero. May 20, 1932 - Amelia Earhart became the first woman to fly solo across the Atlantic. She departed Newfoundland, Canada, at 7 p.m. and landed near Londonderry, Ireland, completing a 2,026-mile flight in about 13 hours. Five years later, along with her navigator Fred Noonan, she disappeared while trying to fly her twin-engine plane around the equator. May 21, 1991 - Former Indian Prime Minister Rajiv Gandhi was assassinated in the midst of a re-election campaign, killed by a bomb hidden in a bouquet of flowers. He had served as prime minister from 1984 to 1989, succeeding his mother, Indira Gandhi, who was assassinated in 1984. 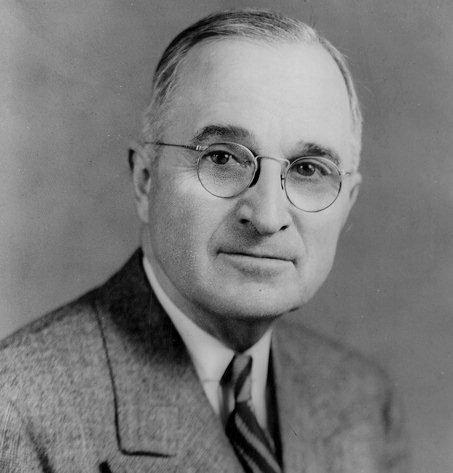 May 22, 1947 - Congress approved the Truman Doctrine, assuring U.S. support for Greece and Turkey to prevent the spread of Communism. 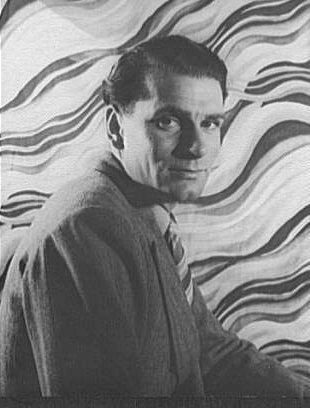 Birthday - Laurence Olivier (1907-1989) was born in Dorking, England. Considered one of the most influential actors of the 20th Century, he was honored with nine Academy Award nominations, three Oscars, five Emmy awards, and a host of other awards. His repertoire included most of the major Shakespearean roles, and films such as The Entertainer, Rebecca, Pride and Prejudice, The Boys from Brazil, Marathon Man and Wuthering Heights. He was knighted in 1947 and made a peer of the throne in 1970. Birthday - The first American female attorney Arabella Mansfield (1846-1911) was born near Burlington, Iowa (as Belle Aurelia Babb). She was certified in 1869 as an attorney and admitted to the Iowa bar, but never practiced law. Instead she chose a career as a college educator and administrator. She was also instrumental in the founding of the Iowa Suffrage Society in 1870. 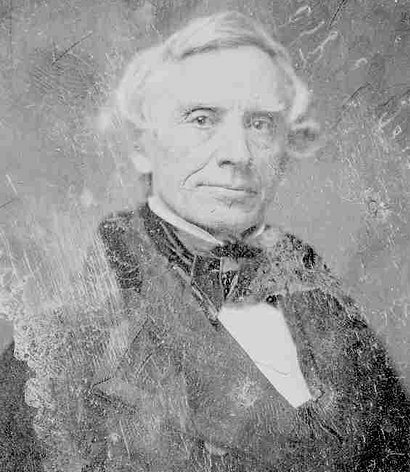 May 24, 1844 - Telegraph inventor Samuel Morse sent the first official telegraph message, "What hath God wrought?" from the Capitol building in Washington, D.C., to Baltimore. May 24, 1881 - A boating disaster occurred in Canada when Victoria, a small, double-decked stern-wheeler carrying over 600 passengers on the Thames River keeled over then sank, killing 182 persons. May 25, 1994 - After 20 years in exile, Russian author Alexander Solzhenitsyn returned to his homeland. He had been expelled from Soviet Russia in 1974 after his three-volume work exposing the Soviet prison camp system, The Gulag Archipelago, was published in the West. 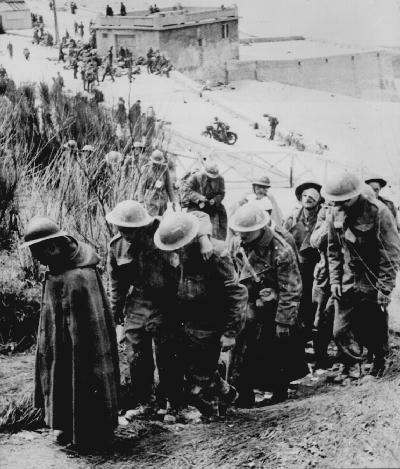 May 26, 1940 - The Dunkirk evacuation began in order to save the British Expeditionary Force trapped by advancing German armies on the northern coast of France. Boats and vessels of all shapes and sizes ferried 200,000 British and 140,000 French and Belgian soldiers across the English Channel by June 2nd. Birthday - Interpretive dancer Isadora Duncan (1878-1927) was born in San Francisco. She revolutionized the entire concept of dance by developing a free-form style and rebelled against tradition, performing barefoot in a loose fitting tunic. She experienced worldwide acclaim as well as personal tragedy. Her two children drowned, her marriage failed, and she met a bizarre death in 1927 when a scarf she was wearing caught in the wheel of the open car in which she was riding, strangling her. Birthday - Actor, singer Al Jolson (1886-1950) was born in St. Petersburg, Russia (as Asa Yoelson). One of the premier American vaudeville entertainers of his day, he appeared in the first motion picture with full sound, The Jazz Singer, in 1927. Birthday - American politician Hubert H. Humphrey (1911-1978) was born in Wallace, South Dakota. Humphrey was a mainstay of liberal Democratic politics, championed civil rights, and was considered by political friends and foes alike to be a truly decent man. 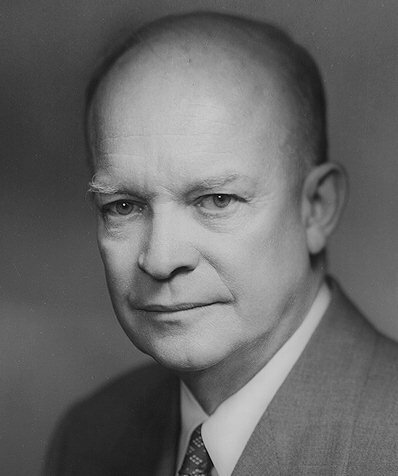 He served as vice president under Lyndon Johnson. 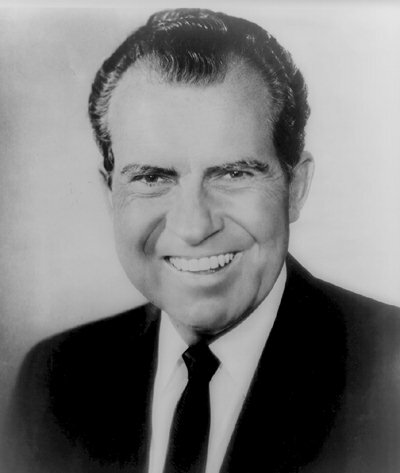 In 1968, Humphrey was the Democratic candidate for president, but lost to Republican Richard Nixon in a very close race. May 28, 1961 - Amnesty International was founded by London lawyer Peter Berenson. He read about the arrest of a group of students in Portugal then launched a one-year campaign to free them called Appeal for Amnesty. Today Amnesty International has over a million members in 150 countries working to free prisoners of conscience, stop torture and the death penalty, and guarantee human rights for women. Birthday - William Pitt the Younger (1759-1806) was born at Hayes, Kent, England. Following in his father's footsteps, he became British prime minister at age 24 and served from 1783 to 1801 and again from 1804 to 1806. Pitt was influenced by Adam Smith's economic theories and reduced Britain's large national debt brought on by the American Revolution. Birthday - All-around athlete Jim Thorpe (1888-1953) was born near Prague, Oklahoma. He won the pentathlon and decathlon events at the 1912 Olympic Games and also played professional baseball and football. May 29, 1453 - The city of Constantinople was captured by the Turks, who renamed it Istanbul. This marked the end of the Byzantine Empire as Istanbul became the capital of the Ottoman Empire. May 29, 1660 - The English monarchy was restored with Charles II on the throne after several years of a Commonwealth under Lord Protector Oliver Cromwell. May 29, 1787 - At the Constitutional Convention in Philadelphia the Virginia Plan was proposed calling for a new government consisting of a legislature with two houses, an executive chosen by the legislature and a judicial branch. 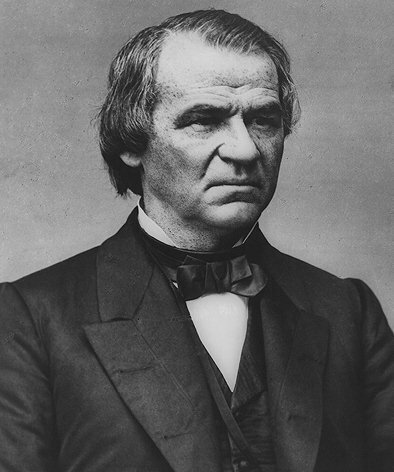 May 29, 1865 - Following the American Civil War, President Andrew Johnson issued a proclamation granting general amnesty to Confederates. The amnesty excluded high ranking Confederates and large property owners, who had to apply individually to the President for a pardon. Following an oath of allegiance, all former property rights, except slaves, were returned to the former owners. 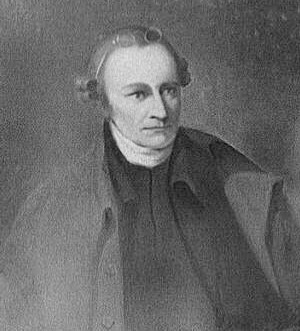 Birthday - American revolutionary leader Patrick Henry (1736-1799) was born in Studley, Virginia. He is best remembered for his speech in 1775 declaring: "I know not what course others may take, but as for me, give me liberty or give me death." Birthday - German historian Oswald Spengler (1880-1936) was born in Blankenburg-am-Harz, Germany. He authored the influential book The Decline of the West which argued that civilizations rise and fall in regular cycles. Birthday - John Fitzgerald Kennedy (1917-1963) the 35th U.S. President was born in Brookline, Massachusetts. He was the youngest man ever elected to the presidency and the first Roman Catholic. He was assassinated in Dallas, November 22, 1963, the fourth President to killed by an assassin. May 30, 1783 - The Pennsylvania Evening Post became the first daily newspaper published in America. 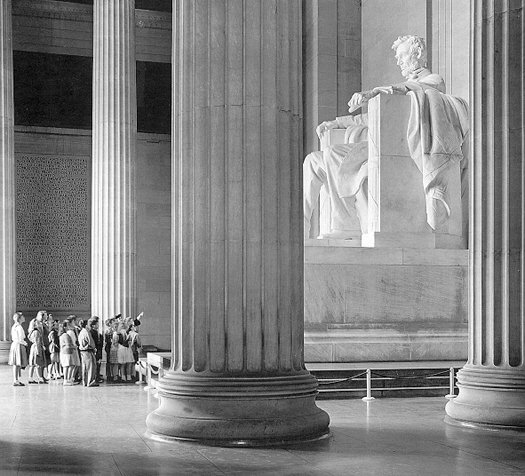 May 30, 1922 - The Lincoln Memorial in Washington, D.C., was dedicated. The Memorial was designed by architect Henry Bacon and features a compelling statue of "Seated Lincoln" by sculptor Daniel Chester French. May 30, 1943 - During World War II in the Pacific, the Aleutian Islands off the coast of Alaska were retaken by the U.S. 7th Infantry Division. The battle began on May 12 when an American force of 11,000 landed on Attu. In three weeks of fighting U.S. casualties numbered 552 killed and 1,140 wounded. Japanese killed numbered 2,352, with only 28 taken prisoner, as 500 chose suicide rather than be captured. May 31, 1862 - During the American Civil War, the Battle of Seven Pines occurred as Confederate General Joseph E. Johnston's Army attacked Union General George McClellan's troops in front of Richmond Virginia and nearly defeated them. Johnston was badly wounded. 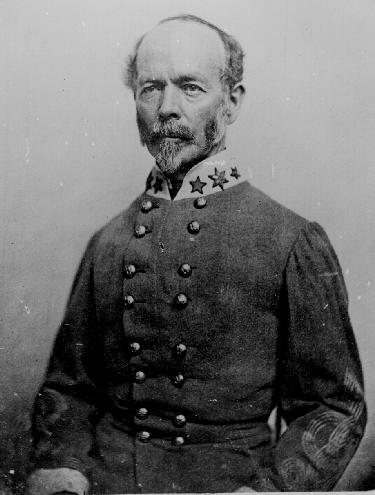 Confederate General Robert E. Lee then assumed command, replacing the wounded Johnston. Lee renamed his force the Army of Northern Virginia. May 31, 1889 - Over 2,300 persons were killed in the Johnstown flood in Pennsylvania. Heavy rains throughout May caused the Connemaugh River Dam to burst sending a wall of water 75 feet high pouring down upon the city.